Faster & Stronger Than Yesterday. CrossFit Kaiwai training sessions cater to all fitness levels. Beginners, Intermediate and Advance Athletes will find tailored programming appropriate to meet their goals. Morning & Evening Training Sessions available weekdays. First Visit is free! Membership pricing is highly competitive! Check us out! You wont find a more friendlier and welcoming group than you will at The Tank! Walk through the open doors of The Tank and fitness seekers will find an open layout with walls lined with weights and equipment ready for use. Mats line the floor for safety and comfort while music plays through ceiling mounted speakers to get everyone motivated and in the mood to work. Daily workouts are posted in the front on a large whiteboard directly under the large red digit countdown clock. Owner & Head Coach Jaws leads all training for Strength & Conditioning sessions at THE TANK. Coach Jaws is an L-2 Certified Crossfit Trainer and has been Training clients and classes for over 5 years. 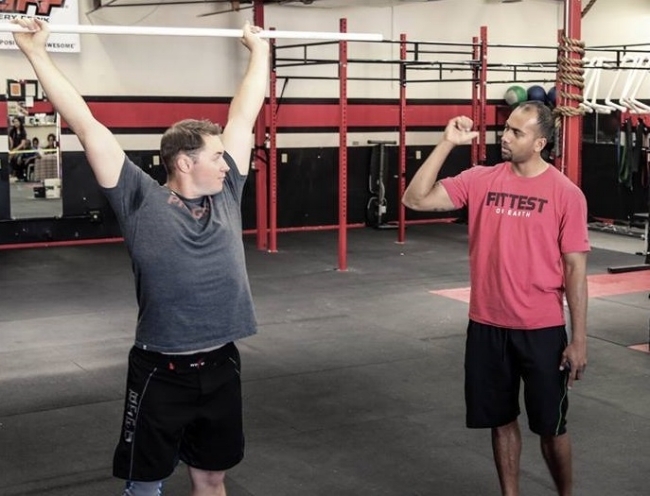 His Team of Intern Trainers at the Tank originate from varied athletic backgrounds and levels of fitness.